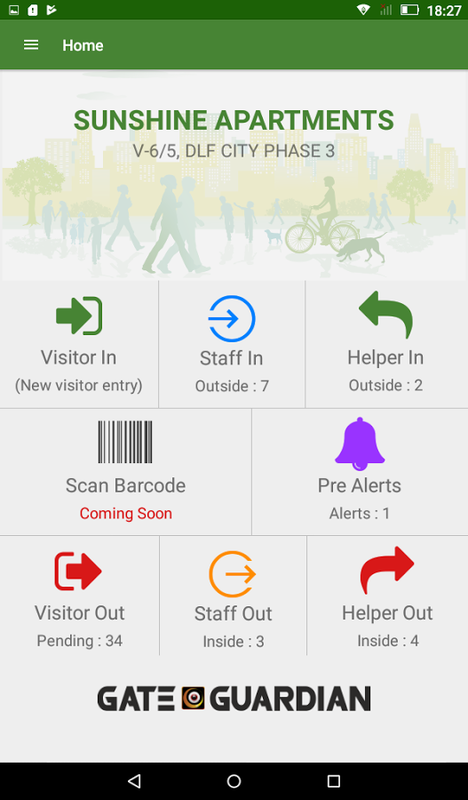 Visitor Management System with staff attendance is running in more than 100 + residential societies. We understand and aim to constantly evolve with the rapidly changing requirements and the need for enhanced security. We focus on highly simple user interface for the guards and ensure this he adapts to these systems as well. Vacation set up for holidays and any other reason for house lock. During Vacation period, no visitor comes upto your flat when you are not at home. A special pass for your visitors in case you want to give them priority entry with no time wasted at the gate. Set a revisit for the frequent visitors by a click of a button. All Data presented on an easy to use Dashboard. Storage and archive of visitor records for review in the future. Our product SocietyConnect is an online portal and solution to automate every function of a residential society. The GATE Guardian package can be accessed along with this complete solution for a condominium. 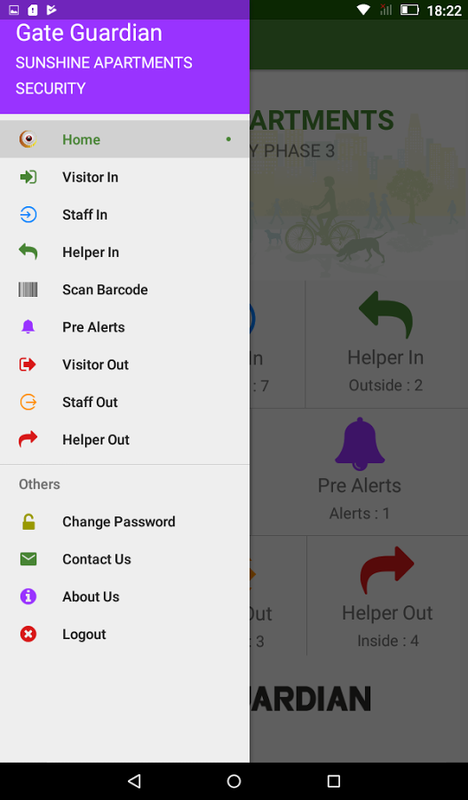 The Gate Guardian App available on Android Play Store is the best solution for visitor and staff management for housing societies/apartments. No need to use register and manual entries. Residents receive real time notification of the visitor with a photo. Gate Guardian is designed to enhance the security of the entry and exit points of your premises. Built with advanced technology,Gate Guardian provides maximum security and yet is easy to use even by the security guards.